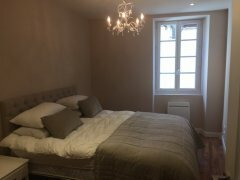 Description of Property: This traditional 3 level Béarnaise townhouse is over 300 years old and sits at the end of a terrace in one of the prettiest streets in the medieval village of Salies-de-Béarn in the South West of France in the department of Pyrenees Atlantique. 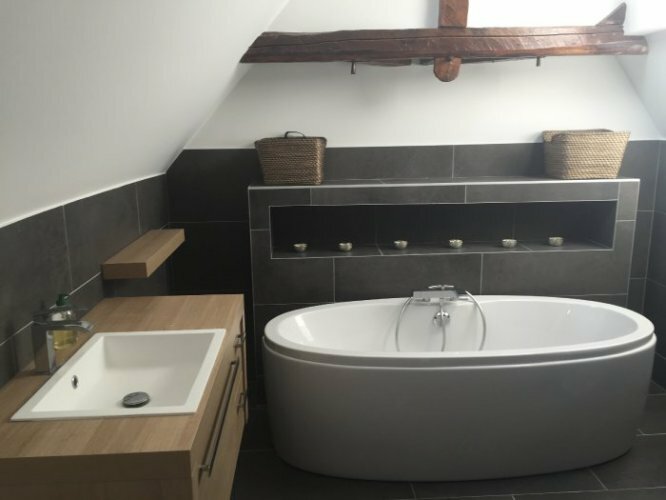 The house was completely renovated in 2015 and now comprises 4 double bedrooms, two sitting rooms, a gorgeous chef's kitchen with American style fridge/freezer, 10 seater dining table with two full bathrooms including a freestanding bath and two walk-in showers. 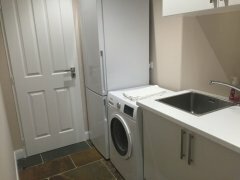 There is also an additional powder room on the ground floor along with a fully equipped laundry with extra drinks fridge, separate front load washing machine and tumble dryer. Three of the four bedrooms are fitted with Super King size beds, while the fourth bedroom has two King Single beds. All beds have Hotel quality linen, duvets (doonas) and pillows and the bathrooms are equipped with oversized bath sheets. There are new luxury bathrooms on each level, with the top floor bathroom featuring a walk in shower and a luxurious free standing bath. 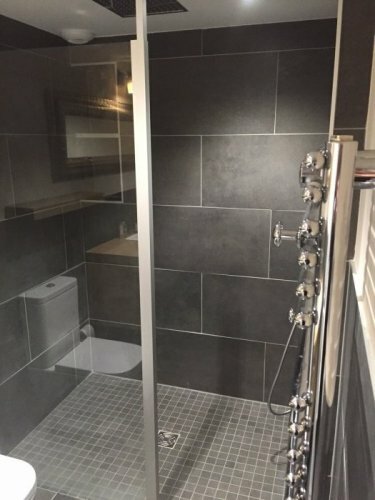 The middle level has another luxurious walk in shower and heated towel rails, and the ground floor has a pretty powder room off the second sitting room. There is ample storage for surfboards and bikes. Outside Amenities: On the top floor overlooking the village rooftops is an external balcony for morning coffees and croissants. Top floor balcony for morning cafe or afternoon champagne! Surrounding Area: Salies de Bearn truly is an authentic French Village and one of the prettiest villages in the region with charming medieval houses and architecture set against the backdrop of the beautiful Pyrenees. This largely undiscovered region of SW France is becoming best known for its traditional Basque way of life, and is well serviced by two international airports at Pau and Biarritz. It is also brilliantly located for all holiday pursuits and a perfect base from which to explore the surf beaches, ski stations, Pyrenees mountains, the Camino de Santiago pilgrimage, or perfect just to simply immerse yourself in traditional French Village life. The village offers many excellent restaurants, shops, bars, bakeries and patisseries, a cinema, an excellent CarreFour supermarket, and a golf course, and everything is within easy walking distance from the house. There is a wonderful weekly market on Thursdays, and numerous fetes throughout the year. Salies de Bearn is also only 45 mins from the famous surf beaches of Biarritz and Hossegor, the excitement of the Pyrenees Ski Stations and the Michelin starred pinxto delights of San Sebastian. 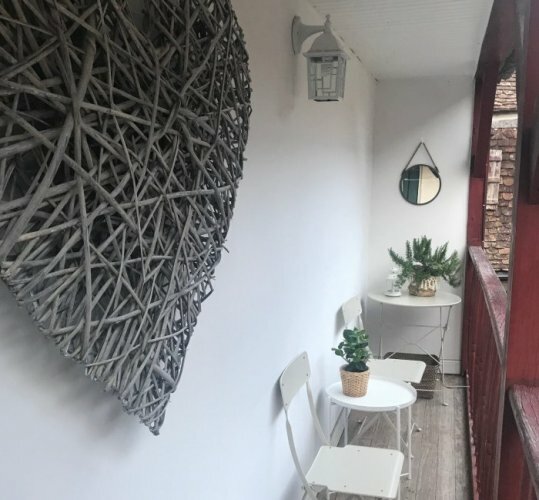 Whatever your interests, Salies de Bearn is an excellent destination for a surfing or ski trip, a gourmet Basque getaway, or an extended French experience living and enjoying life in the midst of a thriving French village. NOTE: Owners Kate and Jason together with their then 9 year old daughter Arabella spent 12 months living in this village in 2012 before buying and renovating this property and would be more than happy to answer any questions and share their experience on things to do nearby, how to get around and general hints on living life in a traditional French village. Excellent electric heating in all bedrooms, bathrooms, kitchen, corridors and sitting rooms. Mains water. Mains drainage. Electricity. Telephone. WiFi Broadband Internet Access. Television. DVD. 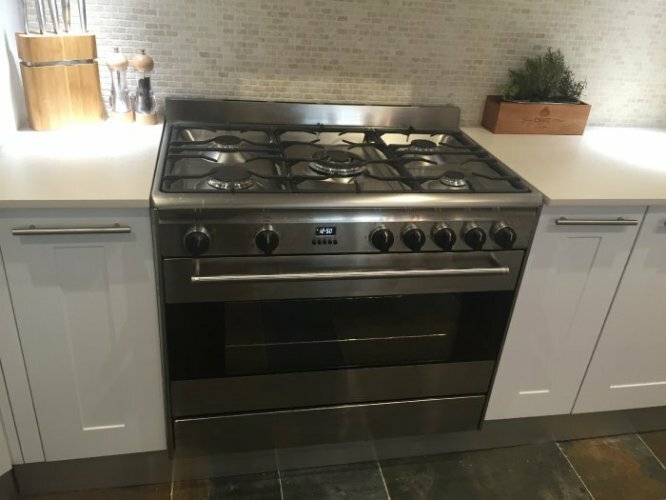 Gourmet chef's kitchen featuring stone island bench and stools and 10 seater dining table for long lunches and dinner parties. Price includes hotel quality linen, towels and cleaning. Utilities included for short term lets of less than 3 months. Happy to respond to all enquiries regardless of minimum stay requested.